Brad Parker is a manager with VMG Health and is based in the Dallas office. 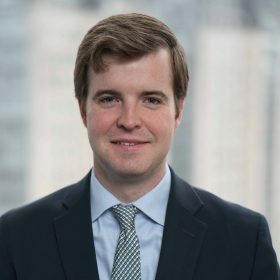 In addition to providing valuation and transaction advisory services, Mr. Parker is also involved in the firm’s Litigation & Dispute Resolution service line. Mr. Parker’s valuation experience includes providing advisory services for management planning, transaction advisory, litigation & dispute resolution, financial reporting, and tax purposes. Mr. Parker’s healthcare experience includes the valuation of hospitals, ambulatory surgery centers, physician practices and organizations, home health and hospice agencies, Medicare Advantage contracting entities, management companies, and other healthcare entities. He has provided dispute resolution and advisory services in matters including partner disputes, marital dissolution, clinical compensation, violation of non-competition agreements, lost profits, business interruption, breach of contract, and breach of fiduciary duty, among other various matters involving public and private entities. Prior to VMG Health, Mr. Parker was with a regional accounting firm in its Litigation Support and Valuation group where he performed valuations for family law litigation, partnership litigation, estate planning/tax purposes, and financial reporting purposes. Mr. Parker received a Bachelor of Business Administration and Master of Science in Taxation from Baylor University, Mr. Parker holds the Certified Public Accountant (CPA) and Accredited in Business Valuation (ABV) designations.